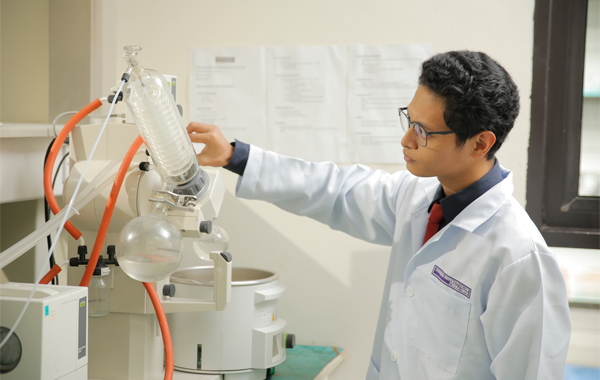 This lab equipped with the necessary amenities allows students to conduct chemical analyses and acquire in-depth knowledge of the Chemistry lesson. It accommodates 30 students at a time. 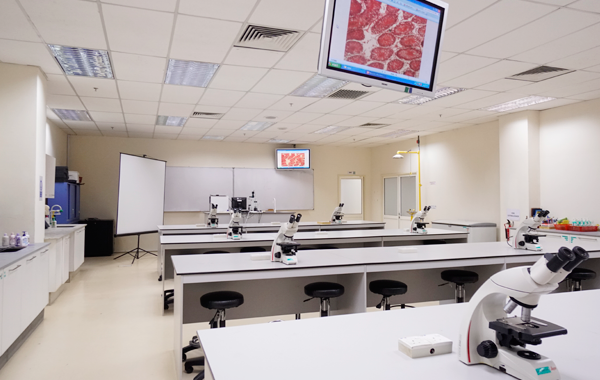 These labs are used to view micro slides and students use these labs for practical sessions pertaining to subjects such as Biology, Histology, Microbiology, Pathology, and Physics. Lab 1 can fit up to 60 students while Lab 2 accommodates 40 students respectively. 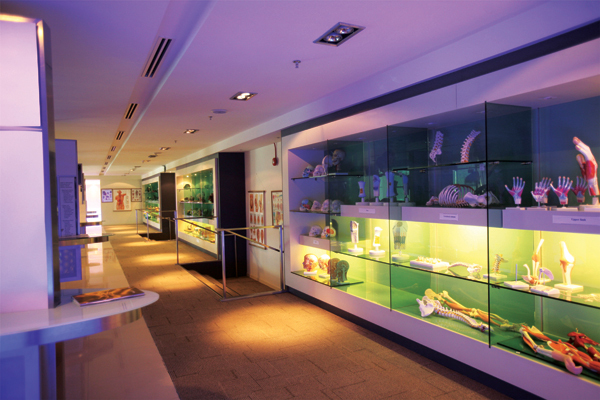 This centre with a capacity of 60 students with more than 200 anatomy models placed inside and open to all. Individuals who are curious about the human body and its’ functions are welcomed to visit and explore the information provided in this centre. 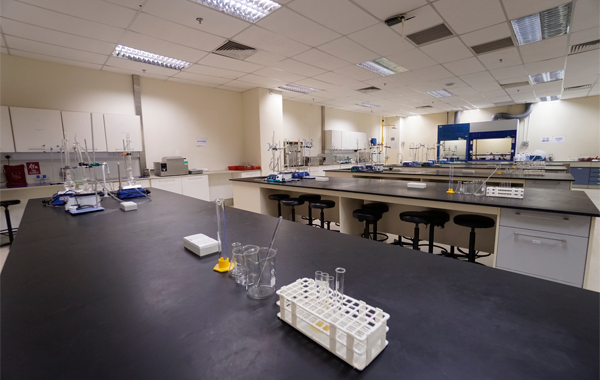 This lab can be used for several purposes which include lecture sessions, lesson demonstrations, display of medical apparatus’ and more as it accommodates 40 students at a time. 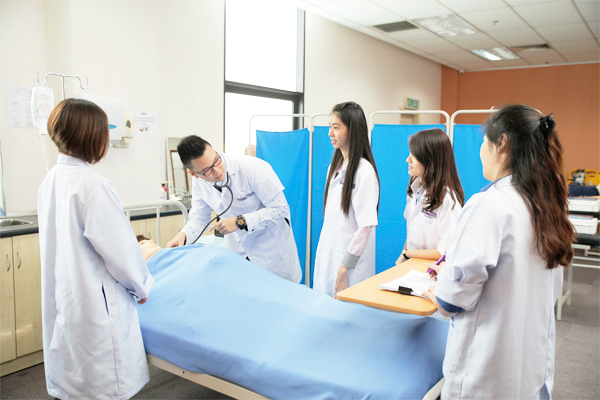 This artificial model of a hospital and clinical lab provides exposure for students to learn how to prescribe medications required for patients in the case of a real scenario. It accommodates 30 students at a time. 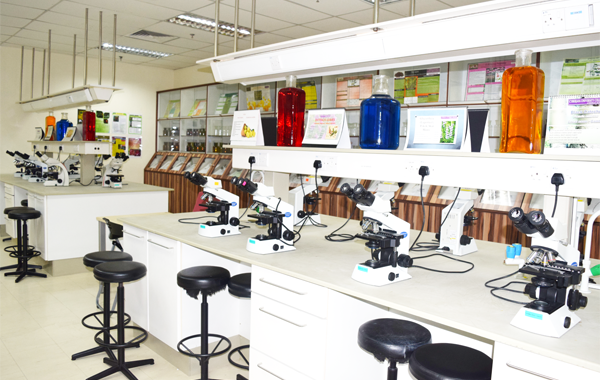 This lab is mainly used for Pharmacognosy and Phytochemistry lessons. Crude drugs and both, local and international herbs from countries like China and India are displayed here as well. This lab is used for research purposes. 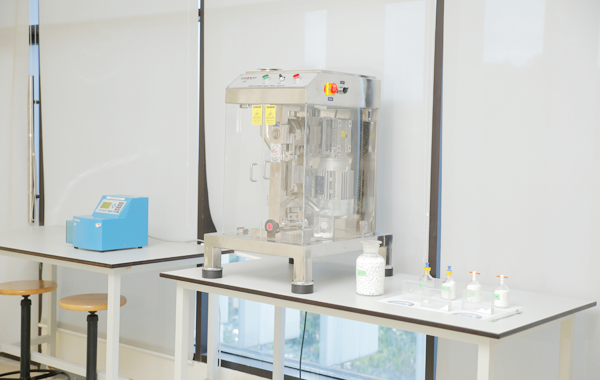 Pharmaceutical equipment such as Dissolution tester, Disintegration tester, Freeze dryer, Rotavapor, Fume Hood and several others are placed in this room. Both these labs are mainly used for tabletting processes. 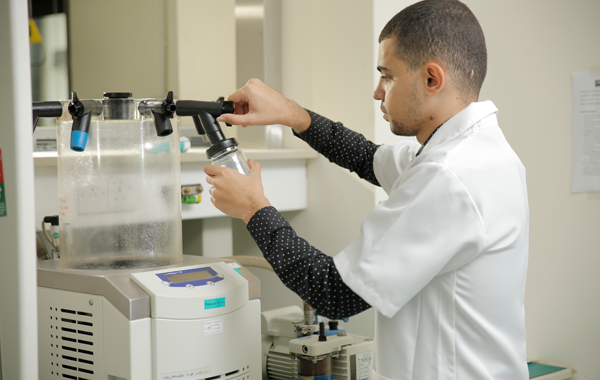 Among the tabletting machines found in these labs include a Tumbling Mixer, Sieve Shaker, Spectro Photo Metre, Hardness Tester and Friability Tester. 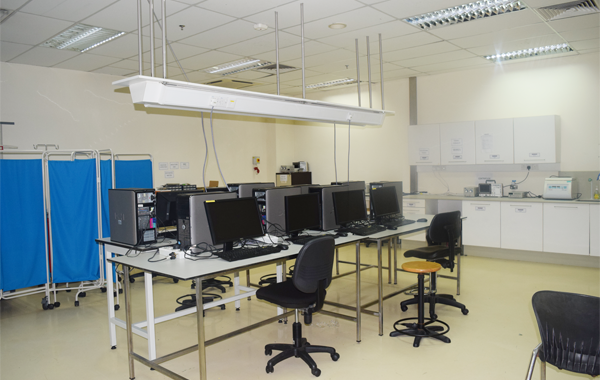 This lab is mainly used for Occupational Safety and Health programmes. The lab features a silent cabin booth used to stimulate the learning process. It can accommodate up to 20 students at a time and often being used as a classroom too. This lab is used only for the research purposes and one of its special features is a KBF constant chamber which functions to hold solutions at precise temperature levels. Due to highly sensitive equipment and chemical, only 10 students can use this facility at a time. 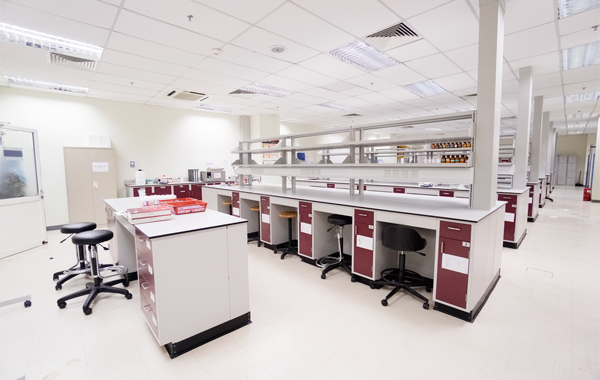 This lab is used specifically to conduct lessons or for the process of making medicines. Medicines produced are placed on benches and systematically arranged on racks provided. It accommodates 50 students at a time. 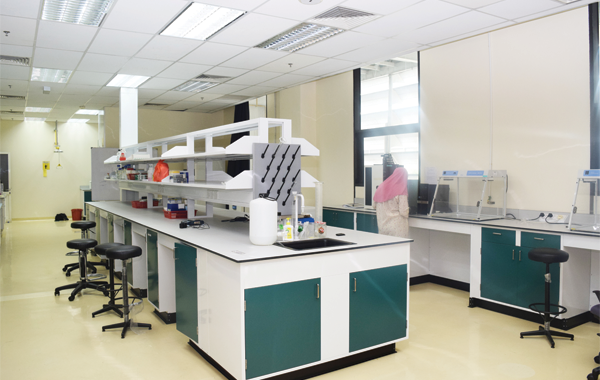 This lab is mainly used for the purpose of molecular research. It is equipped with an ELISA machine and a PCR machine (Thermocycler) which is used for the separation and duplication of DNAs. This lab has various types of machines that enable postgraduate students to run their research and get result instantaneously. This lab is mainly used for system testing and has the necessary electronic components, related medical equipment and software provided for students to engage in active learning. Students learn how to operate the devices and run a test on medical devices in this lab. 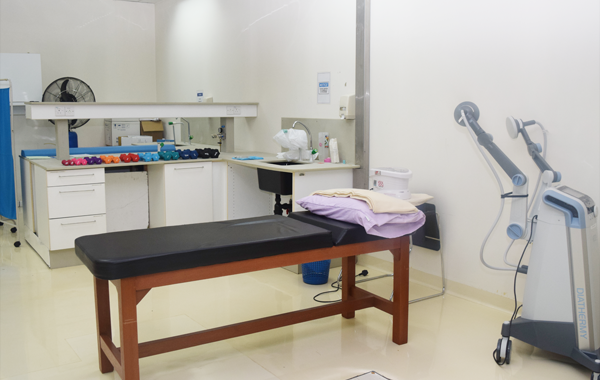 The lab is mainly used for practical sessions during Anatomy lessons. 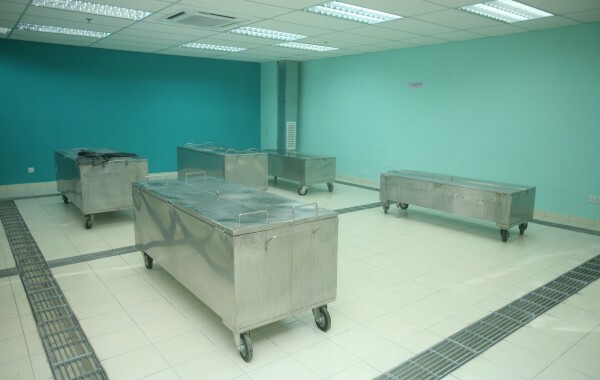 It has 2 sections, namely Cadaver area and Practical area and can accommodate up to 120 students at a time. This lab is well-equipped with various machines to help students develop a better understanding in Physiotherapy. Among the equipment include an Electro-Diagnostic Machine, Pulley and Weight, BTL-6000 Shortwave 400, BTL -16 Plus Traction for Cervical and Lumbar Fraction Therapy, Solmed-Infrared Irradiation Lamp and more. 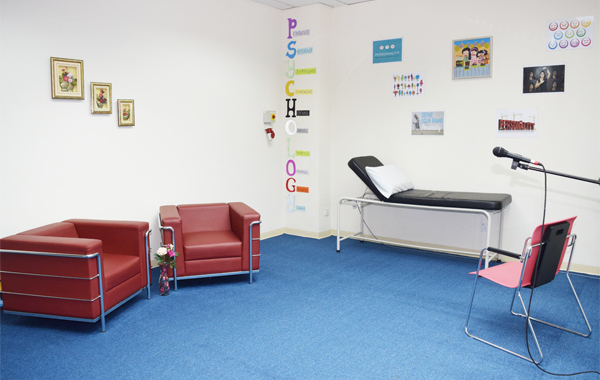 This room is used to conduct tests to determine various mental aspects and abilities including the evaluation of achievements, capabilities, personalities and neurological functioning. Instruments and materials used by therapists to run tests are placed in this room. This room is located right beside the Psychology Test and Instrument Room and is used for interrogation purposes. It has a special tinted mirror to observe patient’s reaction and accommodates 20 students at a time.